The other day I was chatting to someone about how difficult I find it to follow fast interiors trends. You know, redecorating every 5 minutes either because I’m bored or because trends have changed. Growing up, a room was decorated and stayed that way until something started falling apart. Of course I know times are different and we’re far more of a consumer-driven culture than 30 years ago. At the same time, is it really environmentally-friendly to be so flippant with our possessions? 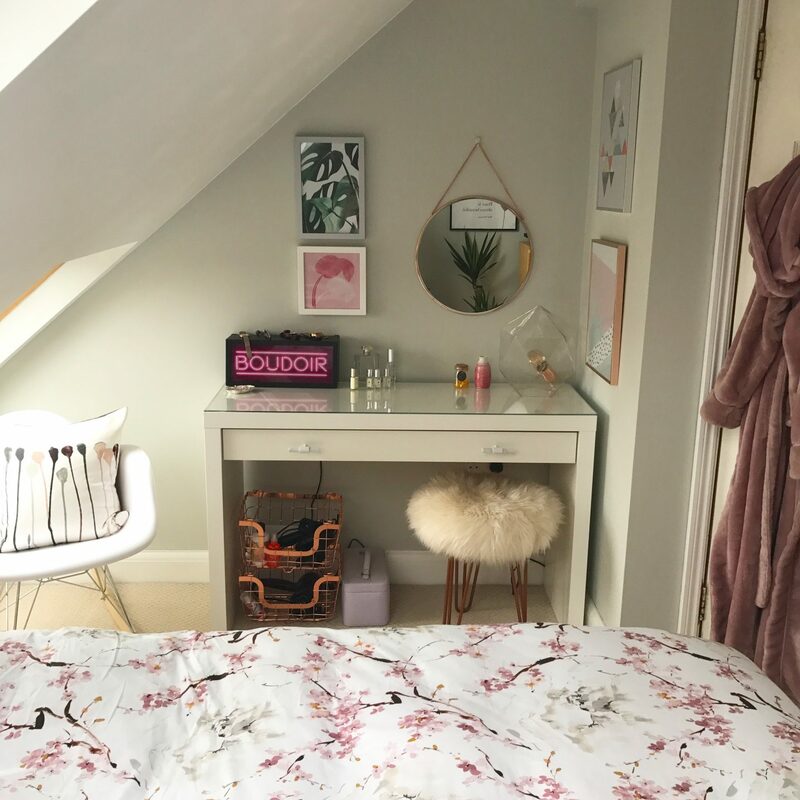 Working on our (very slow) home renovation has made me realise that constantly changing things up isn’t for me. Yes, my ability to kill plants within 30 seconds means they’re frequently repurchased and I do like the idea of the odd seasonal furnishing here and there. Aside from that though, my plans for this home of ours mean that I’m in decisions for the long haul. Later this month we’re having beautiful engineered wood flooring fitted in the living room. I’ve waited 4.5 years to be rid of the hideous carpet we inherited, why would I then change the flooring I’ve been dreaming of after just 5 minutes? I do also have a tendency towards *cough* slightly more expensive things, it’s like my nose sniffs out the pricey products. Which again, is ok if we’re planning to settle on pieces for our home and invest or if it’s something we’ll get so much enjoyment out of. The current project is the living room and when we’re eventually ready for new sofas it will definitely be a toss-up between what I’d really love (velvet Chesterfield, here’s looking at you) versus something that’s going to be cat and dog durable. And no, throws are not for me. Then you may as well have the cheap sofa. But there are some collections I’ve already started building up. We have a little obsession with LSA glassware and so far have tumblers, highballs, wine glasses and champagne flutes all in a matching design. I also recently collaborated with Robert Welch who kindly gifted me a beautiful set of Arden cutlery. It’s such a classic and elegant set that I’ve decided to keep adding pieces to it and we now have a gorgeous set of matching steak knives. Yes, before you say anything I know I don’t eat meat, but Pete does from time to time. Plus, ever tried cutting pizza with a regular knives? Steak knives aren’t just for steak you know. We’re hoping to visit the Robert Welch showroom whilst we’re in the Cotswolds this week as it’s located in Chipping Campden. Pete has his eye on a knife block to match the range we’ve started to build up and my plan is that this will serve us well for years to come. Sometimes it does pay to shop wisely and pay a little bit more for something that’s worth it. I’ll take the less is more approach any day over unnecessary waste and am trying to make more effort to be a conscious consumer. 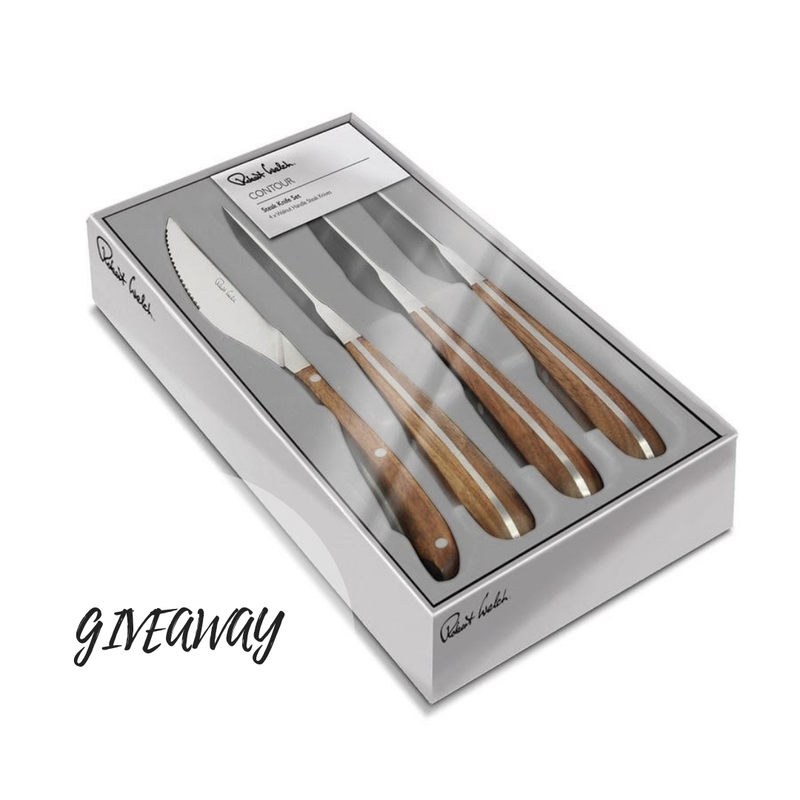 Robert Welch have kindly offered one lucky Instagrammer a set of the Contour Steak Knives, RRP £58.00. To enter, head to my feed and look for the Robert Welch image with a little giveaway label. Make sure you’re following both myself (@booandmaddie) and @robertwelch and like and tag a friend in the comments. The more tags, the more entries. Good luck! The competition is open to UK entrants only. The winner will be selected at random and announced on Sunday 7th October at 10pm on Instagram stories. Please note this giveaway is not associated with or endorsed by Instagram.